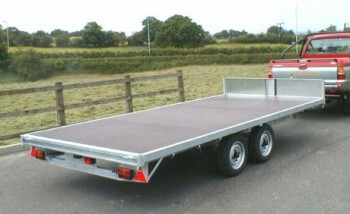 2043 shown with an optional headboard. 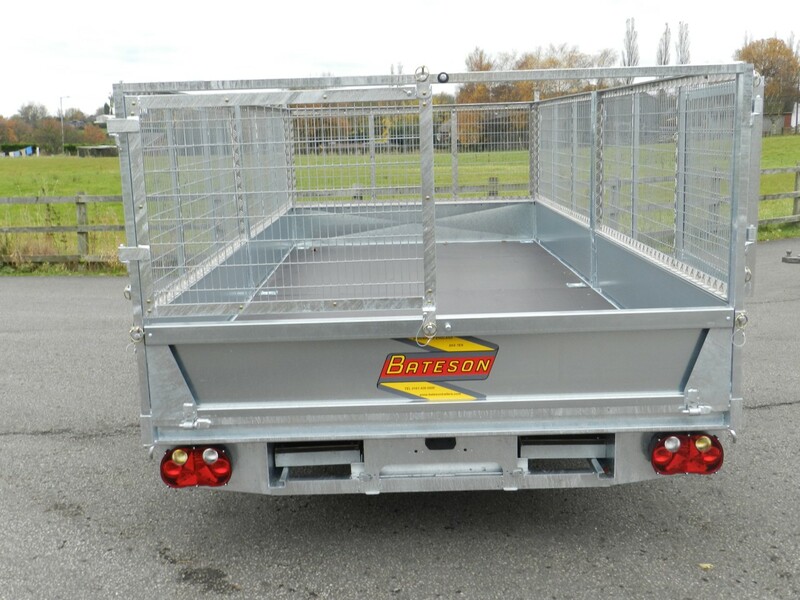 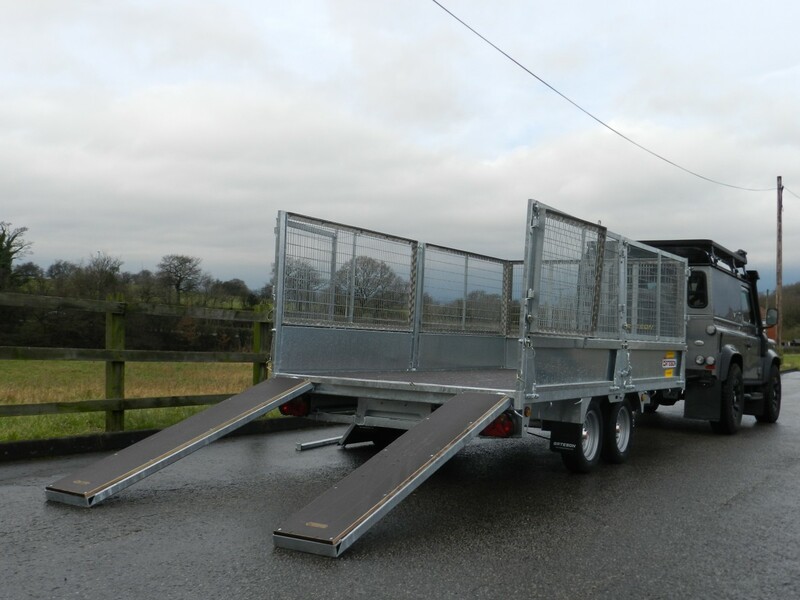 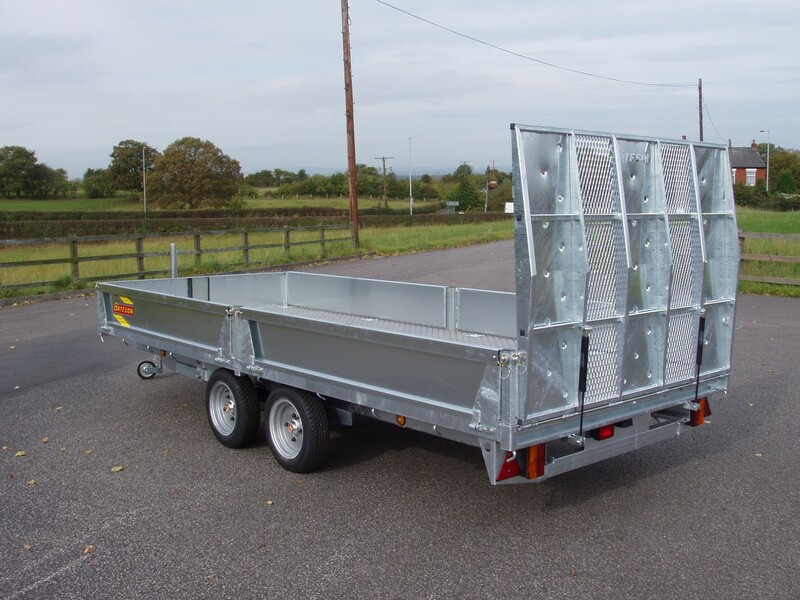 Model 2043 is a 2000 Kg standard platform trailer suitable for use with cars and light vehicles and is supplied as a flat platform with roping hooks, full road lights, front jockey wheel and auto reversing overrun brakes. 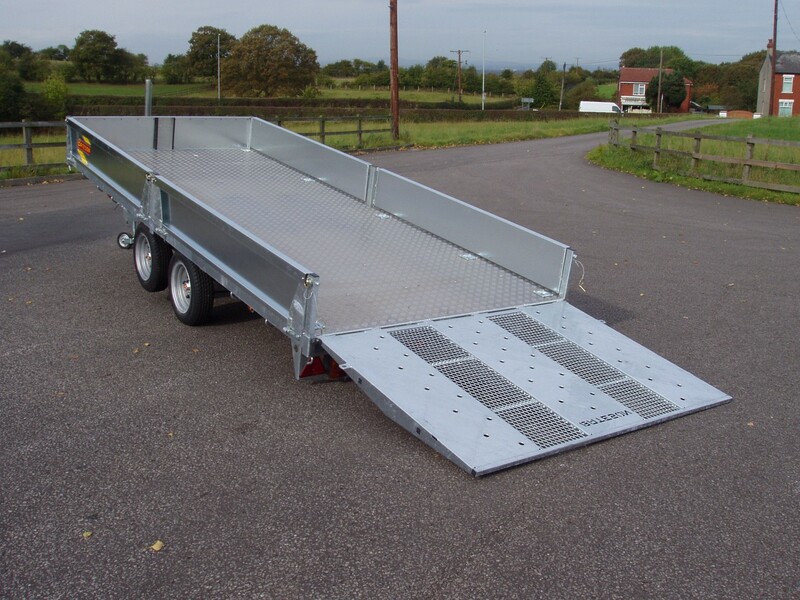 Model 2043 is available with a hydraulic tilting body to load equipment with a low ground clearance.